Finding a one person tent that is roomy enough to be comfortable without excessive space (which leads to excessive weight) and tough enough to take on harsh conditions can be tricky. Consider one of the three options instead. 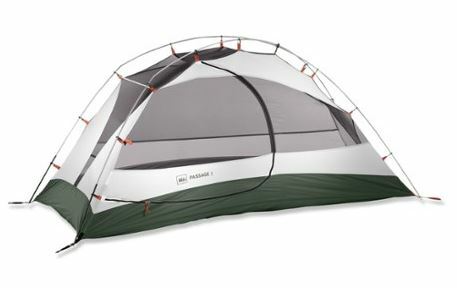 REI’s Passage 1 tent is classic X-pole freestanding design with a weight low enough for backpacking. If you don’t want to spend an arm and a leg but want a tent that will last for years and keep you cozy, this one would be a great choice. The Passage 1 is a fairly spacious tent for being a solo capacity. The ceiling height is tall enough that most will be able to sit up and enter/exit the tent comfortably. Even people taller than average will find this tent roomy enough to sleep well and store some gear at their feet. When it comes to design, this tent is fairly simple but made with quality materials. It is incredibly waterproof and the bathtub style floor is an excellent feature often found on higher end tents. The vents on this tent are at a high level which really helps to draw out the warm air and provide ventilation. Waking up to a too warm tent or one with condensation beads all over the ceiling is unpleasant. With this tent it won’t be an issue. 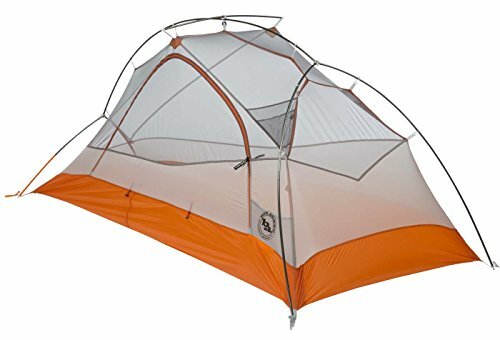 It is a bit on the heavy side for a one person tent but for the price, under $150, it is an incredible deal. You can take this along with you backpacking (if you don’t mind the extra weight) or just use it for casual camping. Be sure to check this listing for the latest discounts. The Big Agnes Copper Spur tents are already extremely popular so it’s no surprise that their one person capacity model is equally impressive. This model is well-priced for being an ultralight solo tent and it has plenty of neat features to make any experience level of backpacker happy. For our full in-depth review of the UL2, you can read it here. The Copper Spur UL 1 is a great all-around tent for really any outdoor camping situation. It is definitely a little roomier than most solo tents so you have plenty of room for gear storage. The added vestibule is perfect for keeping dirty gear and boots outside. With the vestibule staked out properly it will also be a nice dry space for outdoor cooking when it’s raining. Big Agnes does recommend buying the separate footprint for this tent to extend its longevity, but this would be mandatory if you plan to go without the tent body. This is really a great little tent that is just as durable as larger capacity models in it’s product line. Based on the quality of materials, design and Big Agnes’s warranties, it is well worth the money. It often retails under list price here which is reasonable for a solo 3 person UL tent. 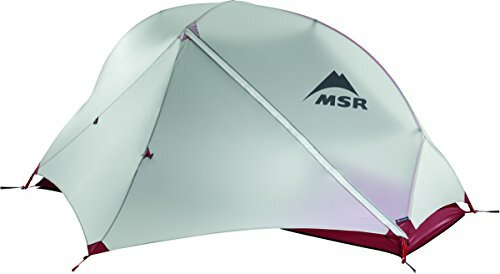 If $350 is your budget limit, the MSR Hubba NX is one of the best in it’s class. It is more compact than most solo tents and versatile as well. If you plan to take your tent backpacking, you will be very happy with this model. Men and women of an average size will find that it has plenty of space but those who are very large may be more comfortable in a bigger model. The tent is a very attractive and sleek design with a red and light gray color scheme. The unusual pole setup looks a bit strange but it extremely stable and quick to erect. This tent is not delicate in the least and can withstand storms as well as heavy rain or strong winds. It is a 3 season tent and many agree that it truly performs as such. If you really like the option to break down a tent for warm weather camping, you are going to love the Fast & Light setup option. 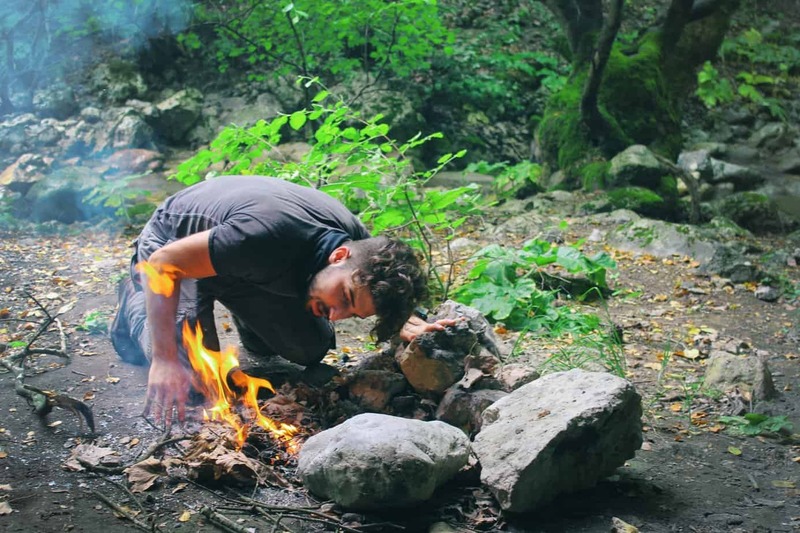 At only 1 lb 10 oz, even the most discerning ultralight backpacker will be pleased with how lightweight their shelter will be for warm weather adventures. You can check out the latest pricing on it here. Solo tents are perfect for the outdoor enthusiasts that is tired of lugging around a heavy multiple person tent when all they need is space for themselves. Car campers will really like the price point and comfort of the REI Passage 1 while more experienced campers and backpackers may prefer the Hubba NX or Copper Spur UL 1. Looking for the Best Tent Deals? Check out our comprehensive tent deals tracker here.